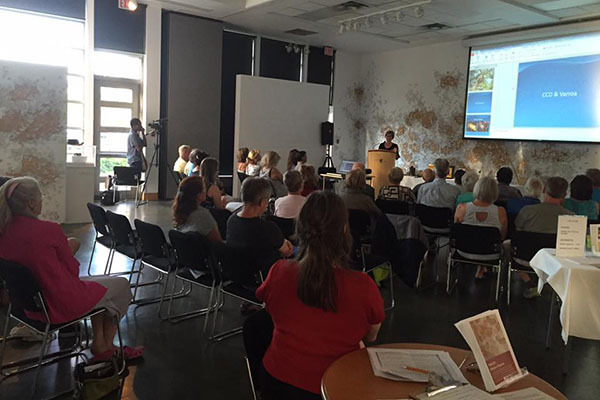 Border Free Bees (BFB) and Kelowna Museums are hosting a workshop to help people become Travelling Bee Ambassadors. 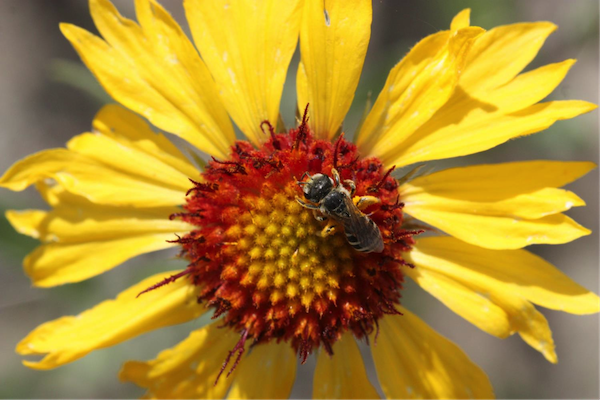 More and more organizations want to learn how to support native bee conservation. Join a team of volunteers willing to share your enthusiasm and knowledge with local groups. 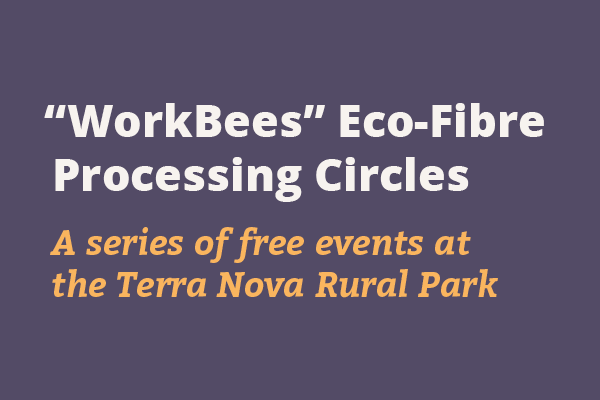 The 2 ½ hour workshop will give you a model talk and Power Point presentation on native bee conservation, help you answer common questions, and familiarize you with many resources available. You should come out of the workshop with confidence to help people learn about the native bees around us. 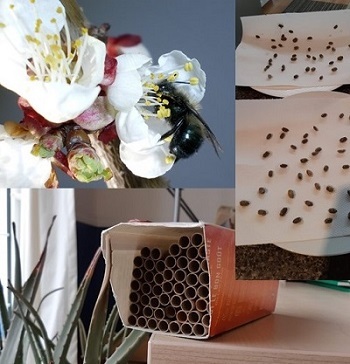 Members of the community are invited to attend a workshop where they will learn how to build a mason bee house for their garden. Bring a 1-litre milk/ juice carton. Family-friendly. The hands-on event, hosted by Kelowna Museums and Border Free Bees, will also include information on caring for mason bees and the benefits of a pollinator garden. 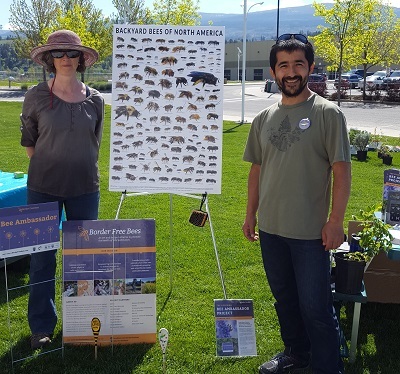 Local, national and international collaborators, supporters and partners of Border Free Bees will gather in Kelowna to share experiences and knowledge, to identify challenges and to plan for the future. Join us for great keynote talks, contribute to an interactive map project, invite friends and family to dinner and a field trip, enjoy short, vivid “Buzz Talks” by our collaborating artists and international partners and brainstorm about ways to creatively help our pollinators, especially native bees! You are ALL welcome. The public is invited to bring a lunch and a blanket to the Brent’s Grist Mill Heritage Park on Saturday July 14th for a Pollinator Picnic! Drop in between 11:00 am - 1:30 PM and enjoy live music, family fun and entertainment, and pick up a package of bee-friendly seeds for planting this fall in your garden! Harvest and learn to coil plants growing on site using Himalayan Blackberry fibre as thread. Guest: Cameron Cartiere. Focus on shape and patterning: create coiled bumble baskets using previously harvested material. Guests: Natalie Der and Maya Khayrallah from the Richmond Delta Youth Orchestra. Get creative! Work on coiled bumble baskets while learning about native bees. Guest: Erin Udal. Join us to celebrate the installation of this community art project! Local refreshments will be served. Guest: Rumour Mill.